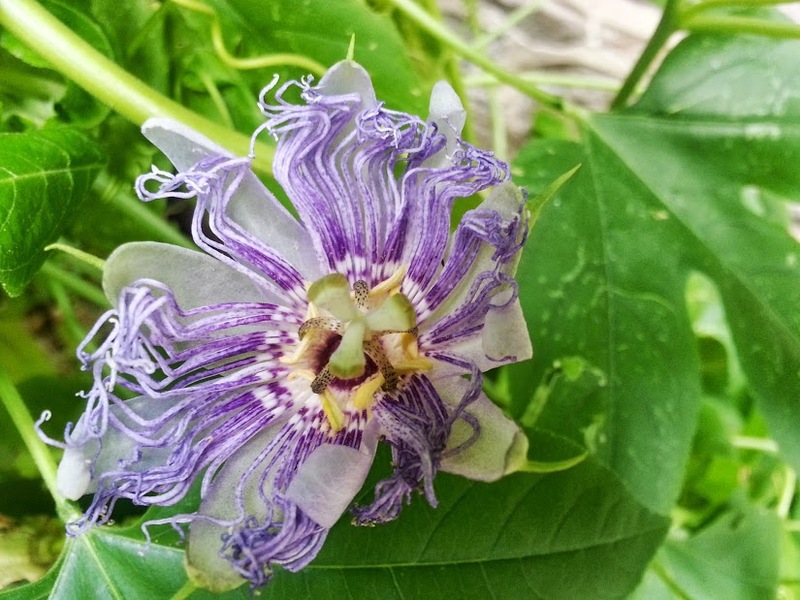 The “passion” in passionflower doesn’t stand for any sort of amorous feelings at all. Instead, it is referring to the Passion of Jesus (passion literally translated from the Greek means “to suffer”) and the story surrounding the events of the crucifixion. Missionaries, attempting to convert the peoples of South America, discovered the passionflower and saw in it the symbols of the Passion: the leaves look like the lance that stabbed Jesus’s side, the tendrils were the whips, the five petals and five sepals represent the ten faithful apostles (no Judas or Peter), the ring of colored filaments represents the crown of thorns, and the three stigmas represent the three nails, etc etc etc. I think it might be a case of reading into things a bit too much, buy hey, the missionaries thought the presence of this flower was a sign from god to continue to convert the natives by any means necessary so… I don’t exactly trust their judgement, anyway. Medicinally, the Maypop (as it is often called) is used a narcotic and sedative (depending on the dose). The Native Americans used it as a tea to sooth nerves and modern research has shown that smoking it has a marijuana-like high. It has also shown to be an effective treatment for drug addiction – is has the ability to reduce withdrawal symptoms including nicotine, alcohol, and morphine. But it is true that it has been used as an aphrodisiac as well. 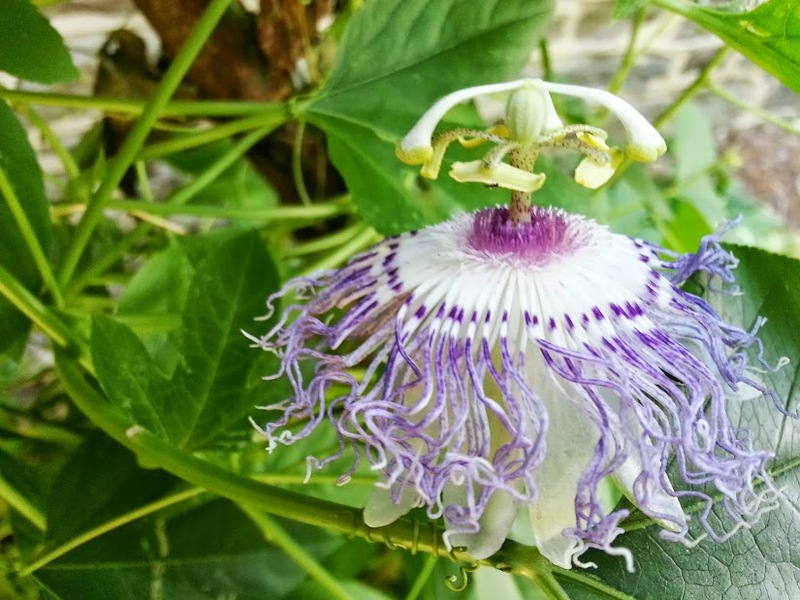 Modern research on mice has shown a significant increase in male mounting behaviors when passionflower extracts were administered.